Bradenton and Sarasota FL: Jantize® America, the franchisor of commercial cleaning services, has expanded again with the sale of the area development rights to the Bradenton and Sarasota, FL. territory to local professional Brian Panico. The sale brings promising expansion into major markets and unparalleled franchise support for the Jantize franchises. 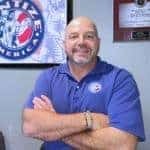 “With the right candidate, Brian Panico, we are now ready to expand into Sarasota and Bradenton, FL”, says Paul Dorsey of Jantize America. Brian’s background as a Client Account Manager, Technology Executive and successful business owner makes him a great fit in interviewing, awarding, and supporting the local unit franchisees. We are proud to have Brian as our newest Area Developer. “With such great success in the other territories, it was an easy decision to open the Bradenton and Sarasota, FL office”, says Brian, who was awarded Area Developer rights to Bradenton and Sarasota, FL territory. “As an Area Developer at Jantize I’m working on the business, not in the business and building residual income”. The Unit Franchise focuses on their customers and the nightly operations. Our clients thus receive the best of both worlds, the service of a small business person, backed by a regional developer and experienced franchisor. “The Jantize Area Developer program gives me the opportunity to build and support small businesses throughout Bradenton and Sarasota, FL. I have invested my reputation, hard work and capital into the expansion” says Brian. “Most of all I have a desire to help the small business owners in Sarasota and Bradenton”. For more info about the Area Developer or Unit Franchise opportunity or if you would like to receive the same great services for your offices please call 704-503-7141 x102. Jantize America, the building service/commercial cleaning franchise concept has expanded again to Sarasota/Bradenton, FL. After 25 years of experience, and eleven (12) successful area developer offices and cities in operation which include Atlanta, Charlotte, Detroit, Greenville, Greensboro, Winston-Salem, Raleigh, Springfield, Colorado, LeHigh Valley, Nashville, and Louisville, while supporting 100’s of unit franchisees. Jantize America has serviced the offices, shop floors, retail spaces and restaurants, and offered franchisees the opportunity to achieve real significance by owning and operating their own businesses. For additional information about Jantize® America, visit www.jantize.com.